Ten years in preparation, this is the most comprehensive book on the trees of Canada and the northern United States ever published. 136 range maps in Canada and reaching into the United States to southern Pennsylvania and northern California. A new easy tree-identification method in which trees are organized into 12 groups based on leaf shape and arrangement along the twig. Keys for both summer and winter identification. 580 colour photographs and 1600 drawings of special features useful for identification. Trees In Canada builds on the popular Native Trees of Canada (out of print), which, for 8 editions and over 75 years, guided amateur naturalists and forest science professionals in tree identification. Trees In Canada is an essential tool for the amateur naturalist and forest science professional, landscape architect, student, or teacher, and a collectible for all those fascinated by trees and forests. See what the Tree Canada Foundation has to say about the book at www.treecanada.ca/trees/index.php. The Tree Canada Foundation is a charitable organization which partners with local volunteers to improve our quality of life by planting and caring for trees. In your neighbourhoods, schoolyards, parks and in the countryside, Tree Canada leaves a living, breathing legacy for generations to come. John Laird Farrar is a Fitzhenry and Whiteside author. 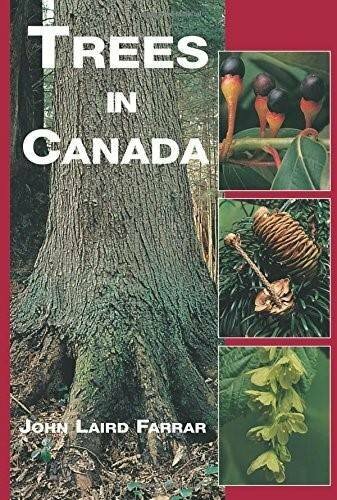 "This comprehensive book on the trees of Canada makes identification easy."